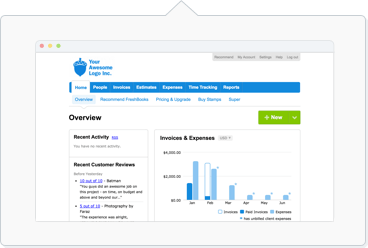 FreshBooks is MTD compliant as of April 1, 2019 with our MTD Portal. Making Tax Digital is an HM Revenue & Customs (HMRC) initiative designed to make sure the UK tax system is effective, efficient and simpler for taxpayers. All VAT-registered businesses with a taxable turnover above £85,000 are required to keep digital financial records and send returns using MTD-compatible software as of April 1, 2019. Our MTD Portal also maintains a digital link with your transactional history, and will continue to be acceptable to the HMRC after 2020. Then you can submit your return. Note: It will take up to 1 business day for Support to email you back your requested UK VAT Return Report. In the meantime, if you have any other questions, you can get quick answers from the HMRC directly. Click Finish! to complete the setup process. You can now use your email and password to log into your MTD Portal anytime at https://www.freshbooks.com/mtd. Read and accept the terms of participation. HMRC will then confirm within 24 hours if you can start submitting VAT Returns under MTD. If you’ve registered as a business, you can continue to use your existing Government Gateway user ID and password credentials. Agents must use the new credentials they created as part of the Agent Services Account setup. You’ll see a new screen indicating your authorisation has been confirmed. Click Close this window to finish. Your MTD Portal is now ready to submit returns to HMRC directly. You can find your recent submission appear in the Past Submissions section afterwards. How do I change my email address or password associated with my MTD Portal? Click Save Settings to finish. How come I haven’t received my confirmation email from the HMRC for enrolling in MTD yet? It takes up to 72 hours to receive a confirmation email from the HMRC at this link for every business you enroll. Enrollment is handled by HMRC, and can be delayed or denied (especially for clients from abroad, with complex VAT accounts, or with severely overdue records). If it has been more than 72 hours, please contact the HMRC Online VAT Helpdesk for assistance with this issue, and to help you complete enrollment. Why do I not see any obligation periods to file? Why are my obligation periods not matching? The first one is 6 months and after that they're 3 months long? The obligation periods you are able to file are sent directly to your account from HMRC. We do not have any control over which periods they make available to you to be filed. If you have a question about the obligation periods, please contact the HMRC Online VAT Helpdesk directly. I need to change my HMRC authorisation, how do I do this? From here, you can now log into a different HMRC account. I get the message “Invalid VRN”. What do I do next? I get the message “HMRC Authentication error: NOT_FOUND”. What do I do next? If the issue still occurs, please contact the HMRC Online VAT Helpdesk as they have access to your VAT Record. I’m trying to register the business but the last page of the HMRC website says "Experiencing technical difficulties, try again in a few minutes”. What do I do next? I’ve made a mistake on my submission, or I’ve submitted the wrong period - how do I fix this? Or can I submit again? Submitting a period is permanent once completed (and any period submitted a second time will be rejected by the HMRC with an error message indicating this period has already been submitted). If there is incorrect information on your submission, or you’ve submitted the wrong period, contact the HMRC Online VAT Helpdesk who can help with submitting corrections, making corrections on your behalf, or adjusting your account. You will not need to submit any supporting documentation to the HMRC. You just need to maintain a digital record of your transaction history (such as your FreshBook account) to show to HMRC if ever they require it.